Humanitarian Architecture looks for solutions to the most devastating issues facing those who are forced to flee from their homes. 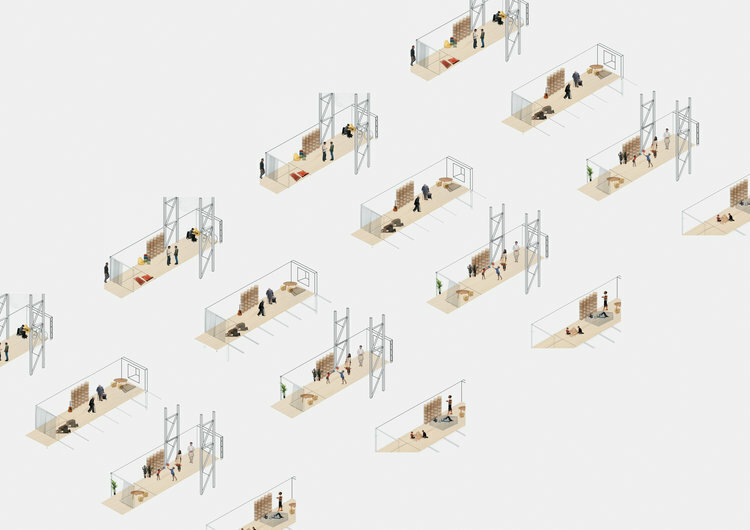 The refugee crisis has called for a response greater than tents, looking beyond simple models the brief asked us to re-imagine a 'home' for migrants in transit. This idea uses a discarded airplane hanger in Hal Far, Malta as a possible location for transitory dwellings to accommodate refugees in transit. Instead of the conventional and clinical 'reception centres' currently sheltering those who flee, my scenario recognises the importance of maintaining a sense of community in crisis. Ephemeral in nature, the fluid programme allows inhabitants to mold their own environment, whilst maintaining the key elements of 'home', being; 1. sacredness 2. stability 3. intimacy 4. shelter 5. personalisation.